band or for their successful transition into a more traditional Death Metal band and I have simply written them off. That has changed since I heard their latest foray. Christ on a stick is it a far cry from what they started as and most surprising for me how satisfying it is to listen to. Demonacracy the third album by JFAC, and it is fast. Very fast, and heavier than an articulated truck full of elephants. The songs are intense and really pack a punch, Jason Seucof really is becoming a go to guy for great production, and again they take a more traditional approach on Death Metal with a twist of tech thrown in for good measure. It all flows together very well and that flow is at a break neck speed, some very interesting guitar riffing and crazy double bass work drive this album. The lead work and solos are really well written and they never seem to just be there for the sake of it, nothing seems like filler or unnecessary. The vocals just sound huge, I can only imagine the layering and mastering that went into them my only gripe is that they are standard Death Metal vocals, incomprehensible as I don’t have the lyric sheet, and that’s it. But all this would mean nothing if the production wasn’t crisp and clear and sweet zombie Jesus is that the situation here. Every last note, cymbal hit and even the bass work is completely audible. I can’t stress enough how good this album sounds. This album has forced me to review how I think about JFAC, and that is the best thing any band can hope for when making changes, its epic, punchy and so very satisfying to listen to. I’m probably gonna get beaten for saying this but this is what the last two Deicide albums should have sounded like. 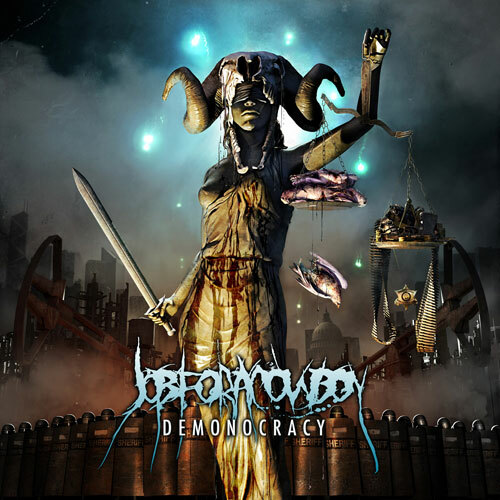 This entry was posted on 24th March 2012 at 9:37 pm and is filed under CD, Metal with tags 2012, america, Death Metal, demonocracy, jason seucof, JFAC, Job for a Cowboy, Metal, Metal Blade Records. You can follow any responses to this entry through the RSS 2.0 feed. You can leave a response, or trackback from your own site.